A simple Macaroni Salad is a must for summer entertaining. A fresh and flavorful macaroni pasta salad that is a fitting side dish for your favorite grilled meats. Pasta salad is one of the first things to disappear at any party or potluck. 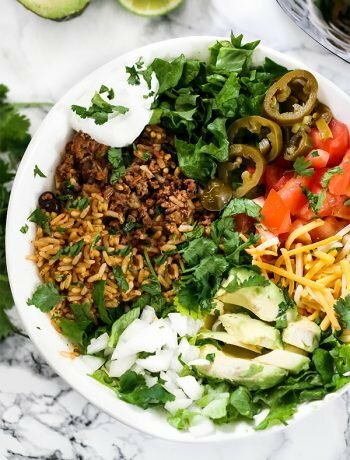 It’s an easy and filling dish to eat and it’s hard to mess up. Backyard barbecues are never complete without this classic macaroni salad! The macaroni salad has a lot of fresh and satisfying ingredients topped with a flavorful dressing. This dish is great as the main star as well. To make this a skinny dish, use light mayonnaise and sour cream. This is the perfect pasta to get the summer started with. It’s loaded with lots of fresh vegetables and herbs. If you are passionate about specialty food products, I have the right place to find the best products offered monthly in a basket. I love good quality artisan food products. If you are as passionate about food as I am, finding the best source of gourmet food just got a little bit easier. I want to share with you the company I use to get all the best artisan food products and tools. 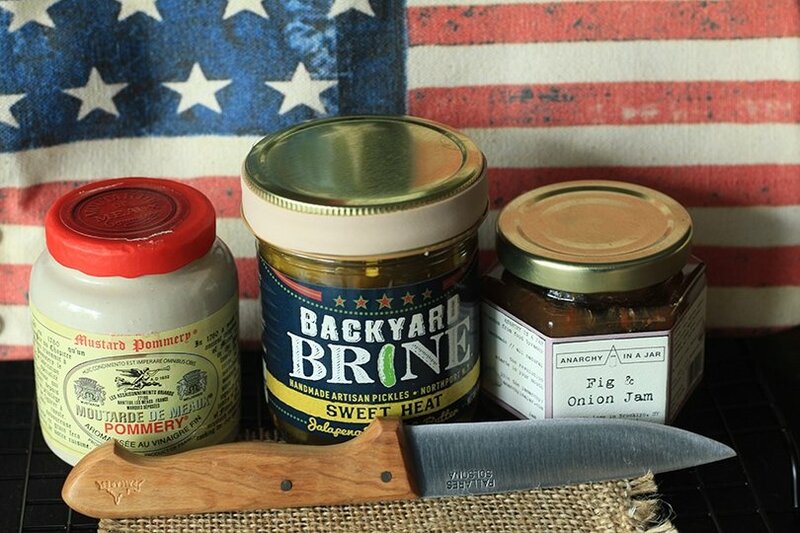 In the food world, “artisan” is used to describe handcrafted product, made in small batches. For this Macaroni Salad, I used Pommery Meaux Mustard and Backyard Brine Handmade Artisan Pickles from Hampton’s Lane June Picnic Basket. I’m really loving the flavor these artisan products added to an otherwise simple macaroni salad. Hampton’s Lane provides food lovers with unique artisan food and tools you need to enhance your culinary experience as a cook, entertainer and eater. Each month, if you choose, you will get a gourmet basket full of authentic gourmet artisan food products as well as kitchen tools all at a great price. Simply view and pick which month you’d like a gourmet package. Get a taste of Hampton’s Lane by sampling some of the many specialty food items and gourmet products made in the region. Hampton’s Lane is all about coming together and sharing a great meal and memories with great people. Now you can simply refer a friend. That friend will get $10 off their purchase order. You will also receive a $20 credit in your account to spend on future boxes and deals. Click here to get started today and start receiving delicious artisan food each month! 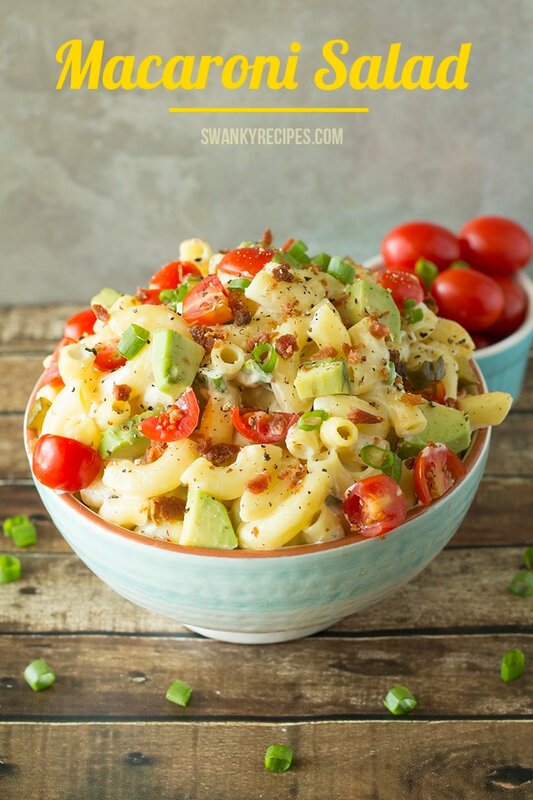 A fresh and flavorful macaroni pasta salad loaded with fresh avocado, bacon, chopped cherry tomatoes, a sweet and spicy handcrafted pickle blend and light sauce. This dish is great for summer entertaining and will be the first thing gone. For your next potluck or picnic, make a delicious and easy macaroni salad. This classic macaroni salad is a crowd-pleaser at every cookout. Make the most out of summer with the great taste of fresh vegetable and herbs and use it in this easy macaroni salad. It’s a family favorite of mine and our family doesn’t do outdoor summer gatherings without this and grilled chicken and steak. This classic macaroni salad is a hit at parties, barbecues and with adults and kids alike. 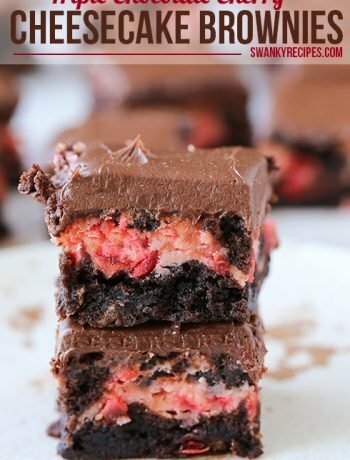 It is so easy to make you will never need to buy it in the Deli at the grocery store again! 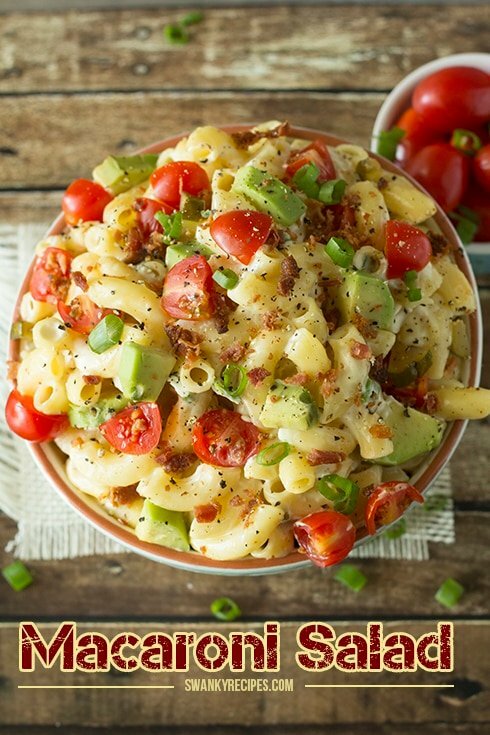 A simple macaroni salad loaded with fresh avocado, bacon, chopped cherry tomatoes, a sweet and spicy handcrafted pickle blend and light sauce. With so many cold pasta varieties like Italian pasta salad, chicken pasta salad, potato salad and other party dishes there is no need to resort to the same recipe every time. 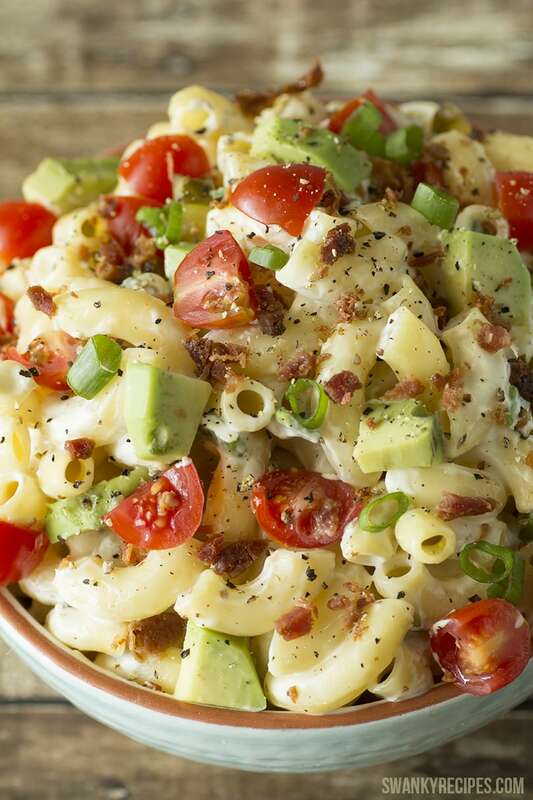 Treat your family to a flavorful macaroni pasta salad with gourmet artisan food products! In a medium saucepan on medium heat, allow pasta water to boil. Place pasta in pot with 1 tablespoon oil and cook according to directions. Once pasta is done, rinse off under cold water; set aside. If using bacon, cook according to directions or if using bacon bits, chop up; set aside. In a medium bowl, combine mayonnaise, sour cream and mustard then stir to combine. In the same bowl, add the lemon juice, olive oil, salt and pepper and stir well to combine; set aside. Using a cutting board, dice green onions, cherry tomatoes, basil and pickles. Halve the avocado and remove the seed then peel and dice. Combine mayonnaise/sour cream sauce with vegetable and fold until mixed. Add sauce mixture to cold pasta and toss with bacon. To make this a healthier skinny macaroni salad, use low-fat or reduced fat sour cream and mayonnaise. *To keep pasta fresh over a few days, combine sauce and noodles on the day of serving; store separate until then. I love macaroni Salad because you can make it so many different ways. 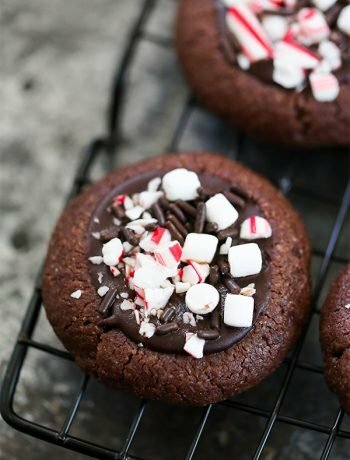 I will make the next batch the way you did, I know my family will love this new way.